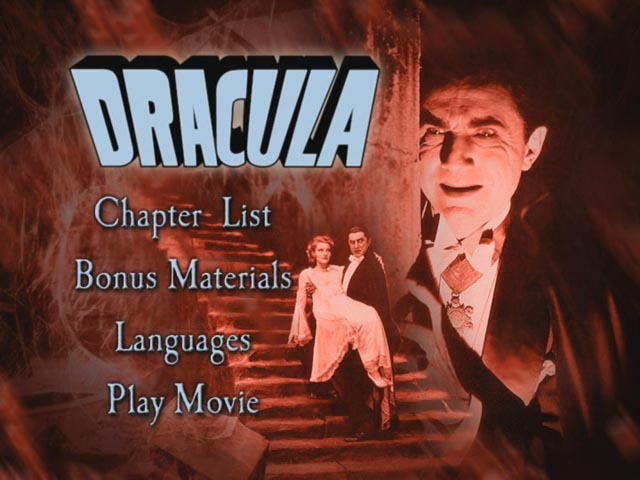 Starring Bela Lugosi, David Manners, Helen Chandler, Dwight Frye, Edward Van Sloan. Screenplay by Garrett Fort. 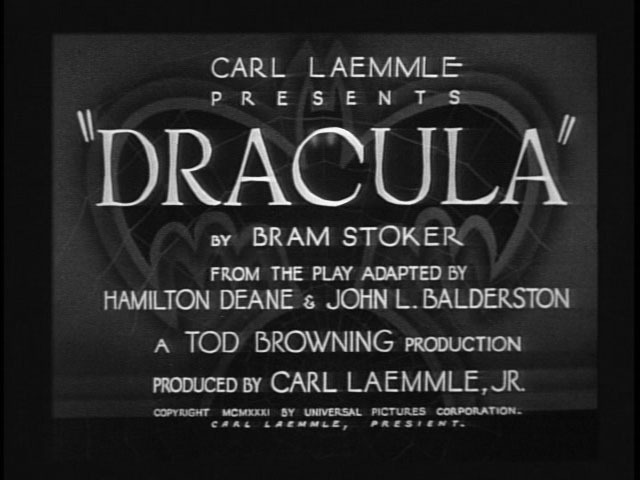 Based on the novel by Bram Stoker and the play by Hamilton Deane and John L Balderston. Produced by Carl Laemmle Jr and Tod Browning. Black and White. Mono. Not rated. 75 minutes. DVD edition: Catalog number 20324. Languages: English. Sound: 2.0 mono. Subtitles: English, French. Full frame. Dual Layer. Alternate audios: commentary; Philip Glass score (5.1 surround). 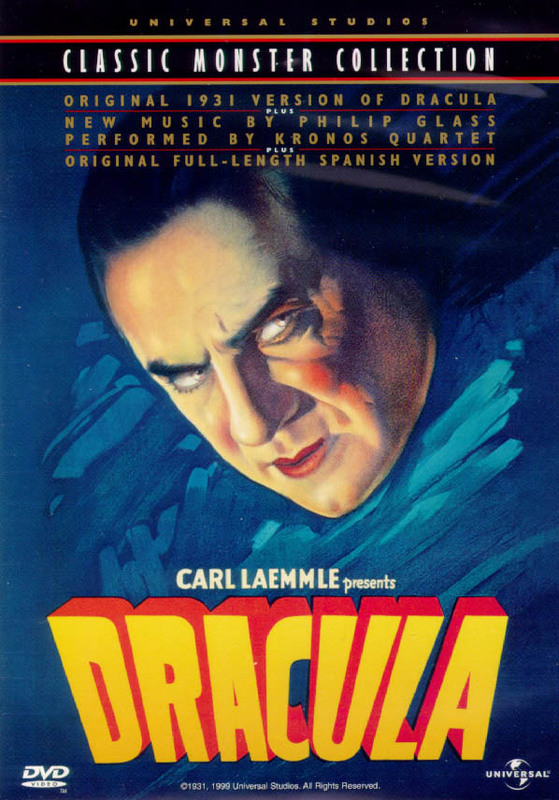 Also on disc: DRACULA (1931) Directed by George Melford, starring Carlos Villarias and Lupita Tovar, Languages: Spanish, Subtitles: English, French. Black and White. Mono. Not rated. 104 minutes. Mastered on 4 November 1999.